I know that at this point you thought that I must have been eaten by the bear but in all actuality, I’ve been lost in a world of weird work stress, Gilmore Girls binge watching and 1984 (the book, not the year, because if I had figured out that whole time travel thing I totally would have opened with that). In addition to all of that, I haven’t been wearing makeup for the last few weeks (what?!) which has somewhat limited my pool of potential topics here (Do you ever get in an anti makeup funk? It happens every so often and I always enjoy getting used to seeing my face unadorned). The one ritual that has still made me feel very put together over the past few weeks has been my perfume application in the morning so I’m going to share a few of my favorite scents of the moment. Be warned that I am not good at describing scents and I am going to rely heavily on Fragrantica and Bois de Jasmin (which is a brilliant perfume blog, definitely check it out if you haven’t already). Someday I will write a post that doesn’t have an unnecessarily long introduction but today is not that day my friend. Technically this is a men’s fragrance but I think it’s bizarre to label a scent as something that would be for a specific gender. IT’S A SCENT FOR CRYING OUT LOUD. The main notes that I notice with this fragrance are patchouli, vanilla, musk and citrus. The citrus dies down quite quickly and you’re left with a warm comforting scent with a large sillage and serious lasting power (like 36 hours if you don’t wash it off). I purchased this from Sephora. This fruity-floral aroma opens with notes of black currant, pear, tangerine and blood orange. The fresh and mouthwatering opening is followed by ginger leaves, freesia and hibiscus accords of the heart. Woodsy sensual finish is composed of sandalwood, Californian cedar, vanilla and musk. Deep Red will forever be one of my favorite scents. I found this scent my freshman year of college and was the only scent that I wore for at least five or six years. Now it’s a bit more difficult to find but it’s still out there, you just have to order it online rather than testing it in store. I need to re-order this as I only have approximately 2 more uses left in this bottle. This is another warm scent that’s slightly more powdery than Cannabis Santal. 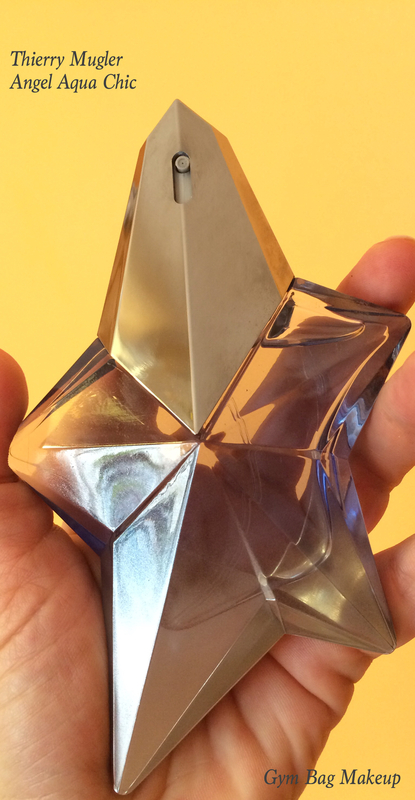 It has some similar notes, the light citrus with sandalwood, cedar and musk. This wears very close from start to finish and lasts for about 6 hours on me. It’s a great scent for work because it’s very unassuming and the sillage is soft. Top notes are melon, coconut, mandarin orange, cassia, jasmine, bergamot and cotton candy; middle notes are honey, apricot, blackberry, plum, orchid, peach, jasmine, lily-of-the-valley, red berries and rose; base notes are tonka bean, amber, patchouli, musk, vanilla, dark chocolate and caramel. Where to start with Angel? This is quite possibly one of the most polarizing fragrances out there. It would seem that there are a number of people who vehemently despise this fragrance but I’m not one of those people. I adore this. It’s loud and obnoxious and sweet and demands attention. For that reason, I do try to be mindful of how much I apply and what type of setting I will be in as this scent can easily get out of hand. To me I smell honey, vanilla, caramel, sandalwood and a really dirty patchouli when I wear this. It has a massive sillage and will linger even after you’ve showered. The seat-belt in my car smells perpetually of Angel. Obviously, this won’t be for everyone but it’s definitely for me. 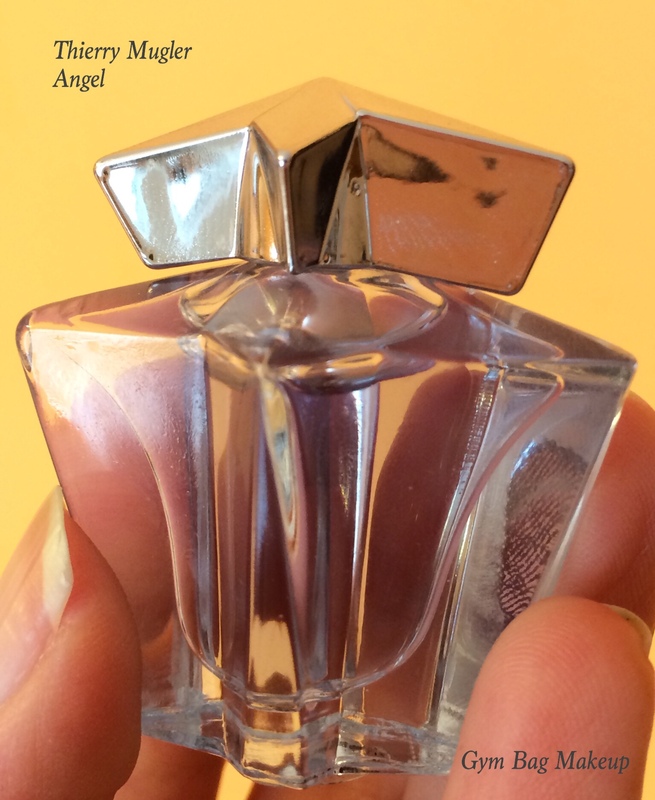 Angel can be purchased at Sephora, or most department stores. I would definitely suggest trying it on before committing to a purchase. Angel Aqua Chic is a new interpretation of freshness achieved with aromatic rosewater located in the heart of the perfume. The top is juicy and fresh with aromas of raspberry blossom and green apple sorbet. The base features signature oriental notes of patchouli and vanilla. Angel Aqua Chic was released last year and is a slightly lighter, fresher and less intense version of Angel. If I’m craving the Angel scent but don’t want to knock out my co-workers this is what I wear. It was limited edition but I purchased this over this summer from TJ Maxx (which has some really discounted perfumes if you’ve never checked their perfume section before). Si is the newest addition to my perfume collection and is another gourmand with a strong musky vanilla and vaguely woodsy notes. This wears really well but I think the sillage is still quite close. It starts out as something that you really only notice when your wrist is about six inches away from your nose and it stays that way for the next 8-10 hours. Completely appropriate for the office in my opinion. I purchased this from Sephora. What are your favorite perfumes? Do you have a type of scent that you always prefer? Obviously mine are mostly musky gourmand scents that have at least a little patchouli. I have scents from other families and I like them but these are my most worn fragrances.